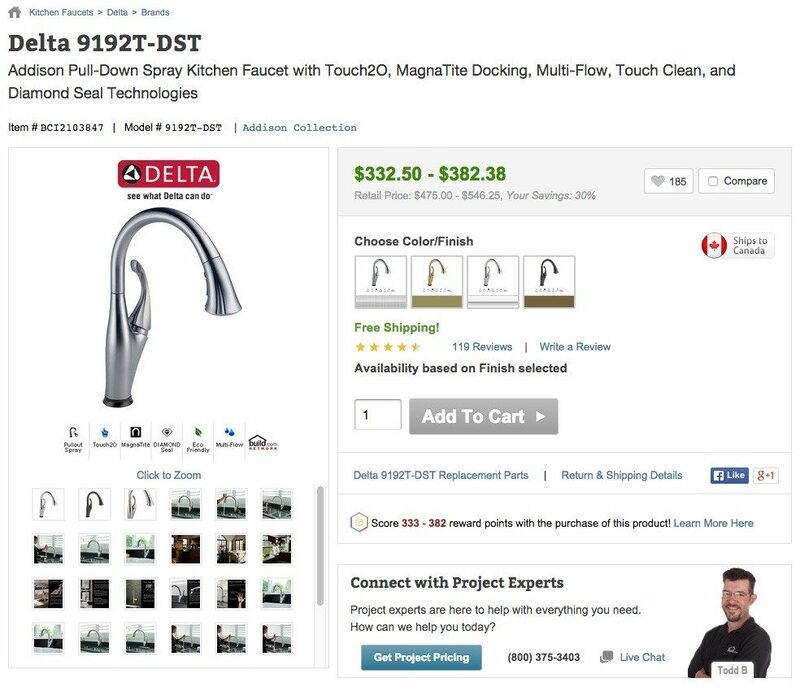 Build.com, an online home-improvement product marketplace, says it will now enable consumers to hire professional contractors to install the products sold on Build.com’s website. As part of a new partnership with HomeAdvisor, a website that connects consumers with home services professionals, Build.com will offer consumers access to HomeAdvisor’s directory of home services professionals and the ability to hire a pro using a concierge service powered by HomeAdvisor. Build.com allows consumers to connect with contractors. “Partnering with Build.com aligns with our marketplace focus to instantly connect professionals to consumers to book their next job,” said HomeAdvisor’s Adam Burrows, senior vice president of business, in a statement. HomeAdvisor faces stiff competition in the online home-improvement space. Pro.com, Porch — which is also a provider of properties’ project histories — and TaskRabbit are among the firms that let consumers book appointments with services professionals. Some of these companies are striving to improve their ability to immediately connect pros with consumers, similar to the way some real estate apps are trying to facilitate home showings on-demand. HomeAdvisor plans to later integrate a “seamless experience” into Build.com that connects consumers on the phone with professionals. Editor’s note: This story has been updated to correct that HomeAdvisor plans to integrate a seamless experience that pairs consumers with professionals on the phone into Build.com. The technology is not a mobile app as previously stated in this article. The sub-headline of this story has also been corrected to note that HomeAdvisor is powering a home services booking platform for Build.com, not Builder.com as previously stated.